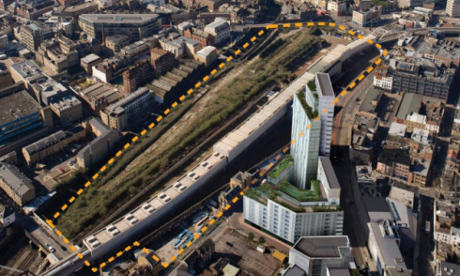 Opposition to the Bishopsgate Goodsyard scheme is growing as conservation groups criticise the proposals over their lack of affordable housing and ‘intrusive’ design. The East End Preservation Society called the plans for the Shoreditch site “vast, intrusive and alien”, while The Victorian Society has slammed them as “completely unacceptable”. The groups have also criticised the developers for the planning documents calling them “repetitive”, “indulgent”and “hard to access”. Property developers Hammerson and Ballymore propose to turn the Goodsyard, which includes the historic Braithwaite Viaduct – one of the oldest railway structures in the world – into flats, offices and a public park. The proposed scheme, worth £800 million, also includes four residential towers, two of which would reach 48 storeys high. 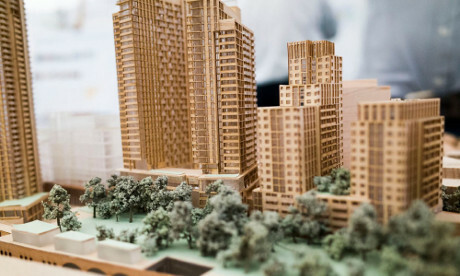 The East End Preservation Society argues that the proposals are in conflict with Hackney’s and Tower Hamlets’ own 2010 planning guidelines for the Bishopsgate site, both in failing to ensure that any new development integrates with the surrounding area, and in providing a minimal requirement of 35 per cent affordable housing. The developers are only proposing 10 per cent. The Director of the Victorian Society, Christopher Costelloe said: “The large buildings proposed for this site do not reflect the quality of the historic buildings that will surround them. A spokesperson for The East End Preservation Society said: “The current proposals will effectively undermine the distinctive fabric of this characterful and creative area and blight the surrounding conservation areas. However, a spokesperson for the joint project said the developers were still “in active discussions” with the Local Planning Authorities and the GLA as to the amount and tenure of affordable housing that could be provided. The developers said there were “significant constraints” for the project, arguing that only approximately 33 per cent of the site is considered “appropriate for building foundations”.